2001DPRK Kinsmart - 2" Little Beetle Police/Firefighter Key Chain. These Volkswagen Classic Beetles are 2" long diecast metal with pullback motor action. 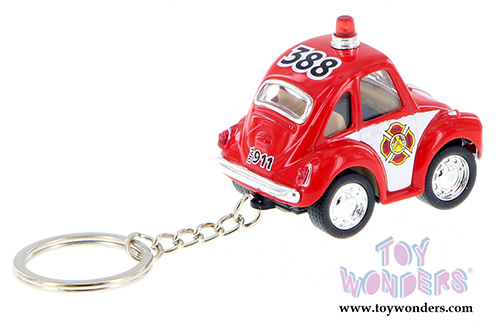 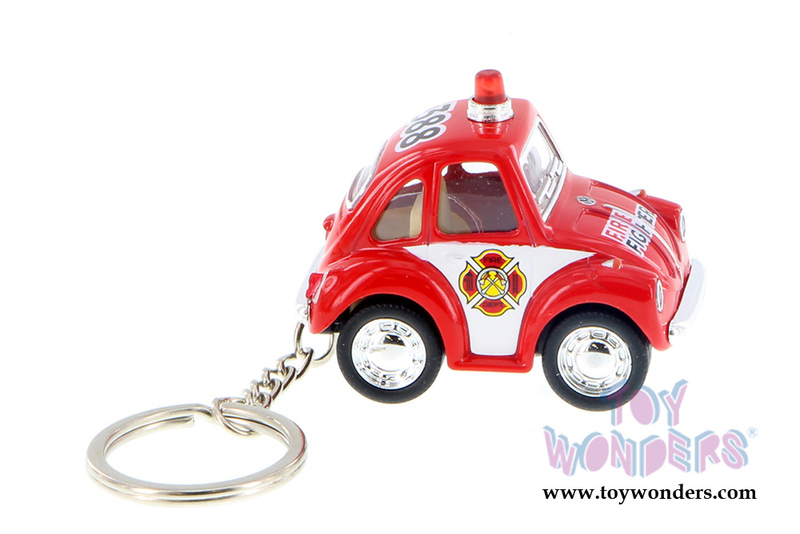 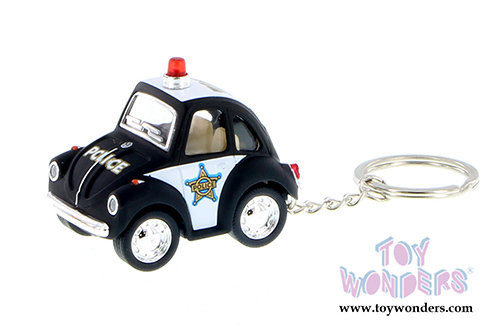 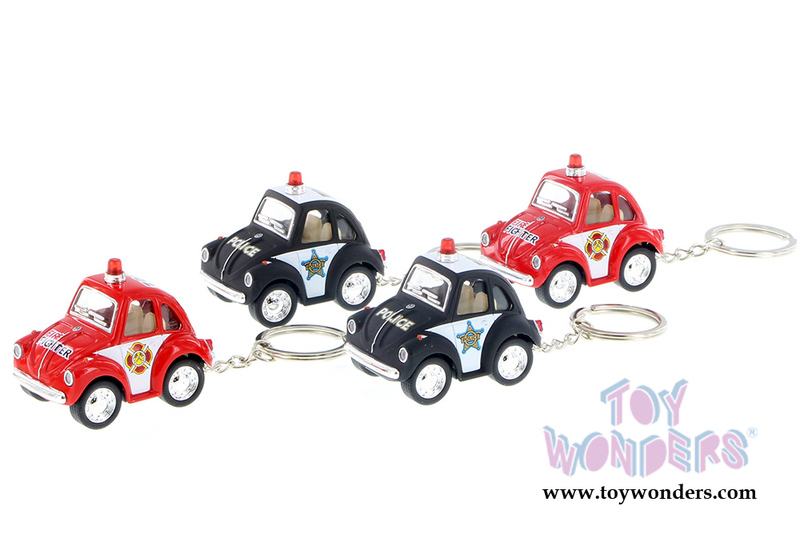 These cute Volkswagen Beetles are manufactured by Kinsfun/Kinsmart Toys. 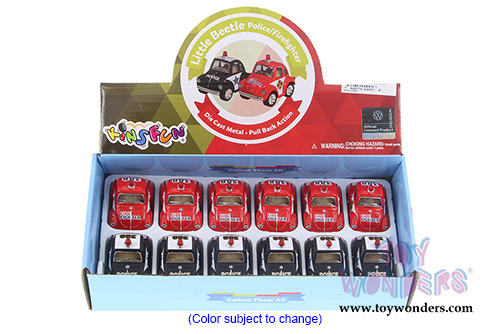 12 pcs per display box and in assorted colors. 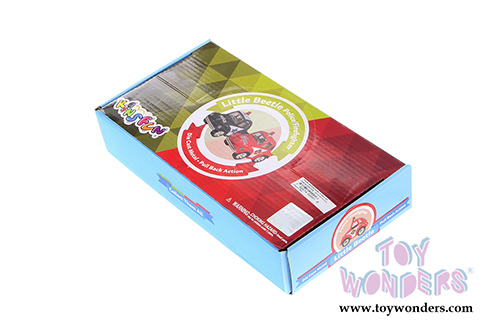 288 pcs per inner box. 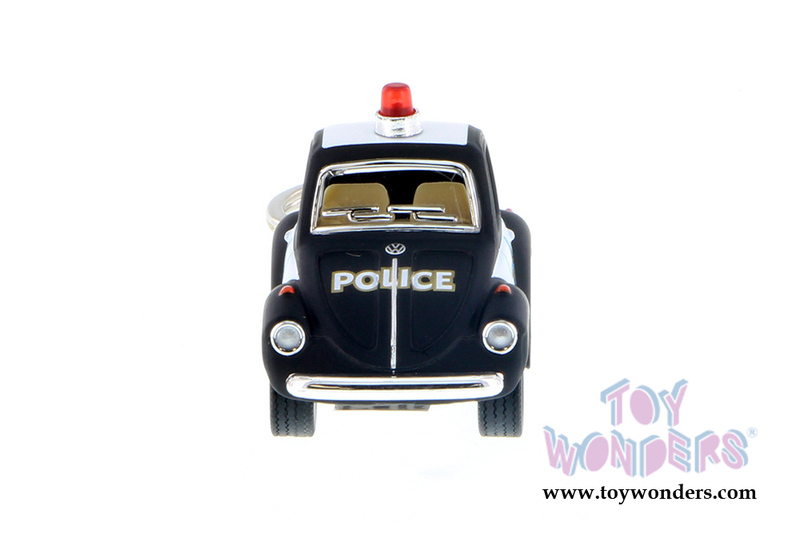 To see more Volkswagen die-cast collector vehicles (click here).